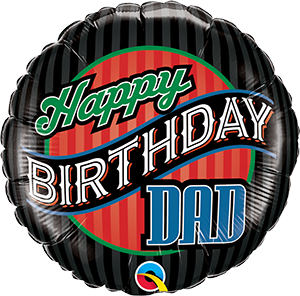 Wish your dad a happy birthday with this colourful striped balloon! Perfect to give your dad that little extra surprise on his birthday! This foil balloon is 18". This balloon can be helium filled.